An off-the-scalp lightening powder that can provide a fast lifting action up to 8 levels, formulated with moisture-rich sorbitol crystals it leaves the clients’ hair shiny, healthy and resilient. 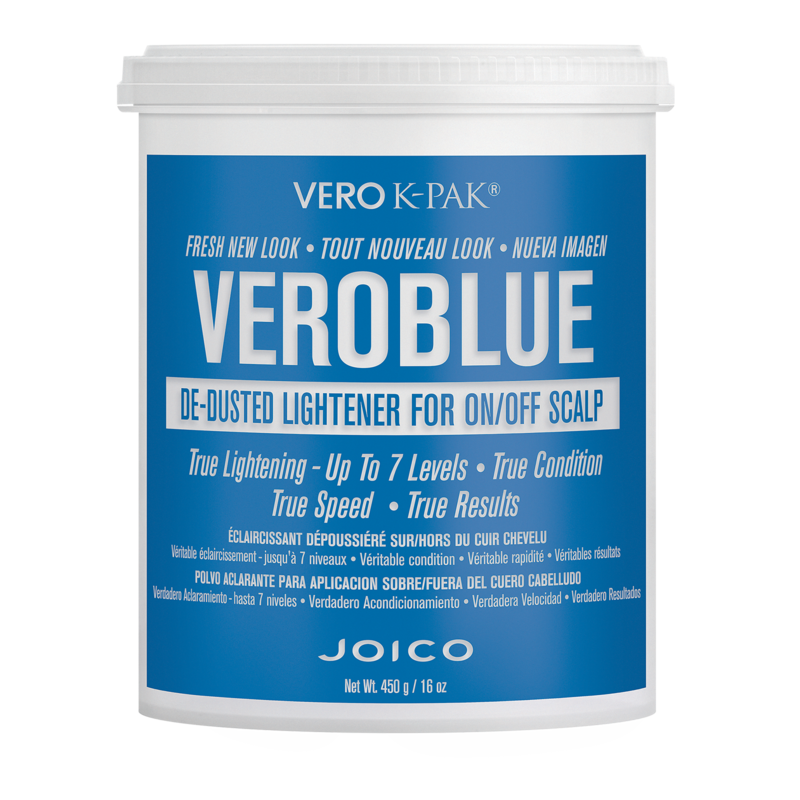 Directions for off-scalp use: Mix 1 scoop VeroLight with 1 fl. oz. (30ml) of 10 to 20 volume Veroxide. "I''ve tried many brands of lightener. Vero Blue is very gentle and conditioning and lifts well. I like it better than many I''ve tried, much more gentle than most."